Business Data Connectivity Services service application provides centralized infrastructure to connect and manipulate with external line of business data sources through external list concept. Here is the PowerShell script to create Business Data Connectivity Service Application in SharePoint 2016. $ServiceAppName = "Crescent BDC Service Application"
$ServiceAppProxyName = "Crescent BDC Service Application Proxy"
Write-Host -ForegroundColor Yellow "Checking if the Application Pool already exists..."
Write-Host -ForegroundColor Yellow "Checking if BDC Service Application exists already..."
Write-Host -ForegroundColor Green "Creating BDC Service Application..."
Write-Host -ForegroundColor Yellow "Starting the BDC Service Instance..."
Write-Host -ForegroundColor Green "BDC Service Application created successfully!" 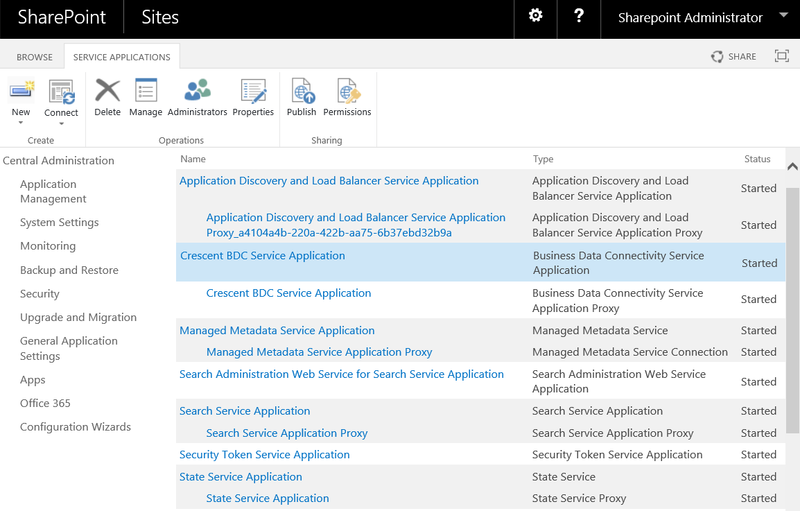 This PowerShell script creates new BDC service application in SharePoint 2016.